Royal Peacock is a painting by Sarandha D L which was uploaded on July 25th, 2016. 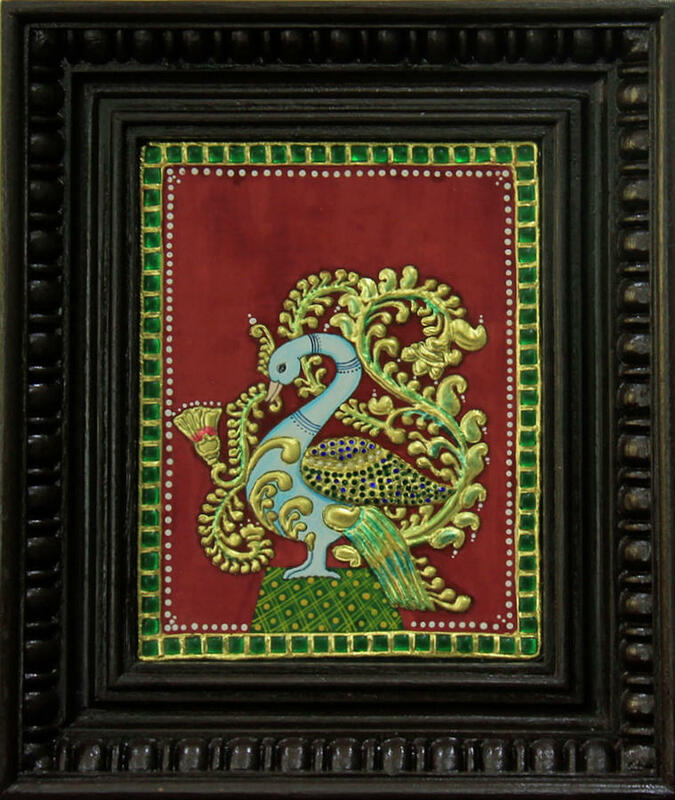 Tanjore paintings with its rich heritage is a treasured possession for any household. Peacock,the national bird of india is presented in all its grandeur with 24 carat gold foil and semiprecious stones. The artistic liberty applied here speaks for itself in regard to craftmanship.